The idea of a Lamborghini making an SUV has always been a pretty controversial one. After all, the wildly-popular family vehicles aren’t generally associated with performance or being the same kind of object of desire as supercars. But that hasn’t stopped the company from moving forward with their upcoming Urus SUV, and to prove that the vehicle isn’t just a pretty face, they’re starting to dole out little bits about the vehicle that show some of its capabilities. 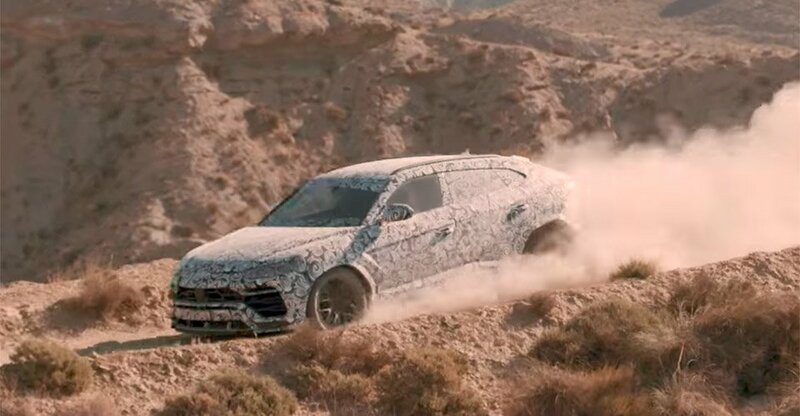 The Urus will offer a driving mode called “Terra” (Dirt) which is designed to increase traction and performance on rugged off-road terrain, and from the looks of the video, the Urus is more than capable of tearing up some serious dirt in this mode. The video also teases the names of several other driving modes, including “Strada” (Street), “Sport”, “Corsa” (Race), “Sabbia” (Sand), and “Neve” (Name) – which I’m assuming is some sort of custom mode. Clearly from these clues, Lamborghini has every intent of making the Urus just as good on the street or on the track as it is off-road.